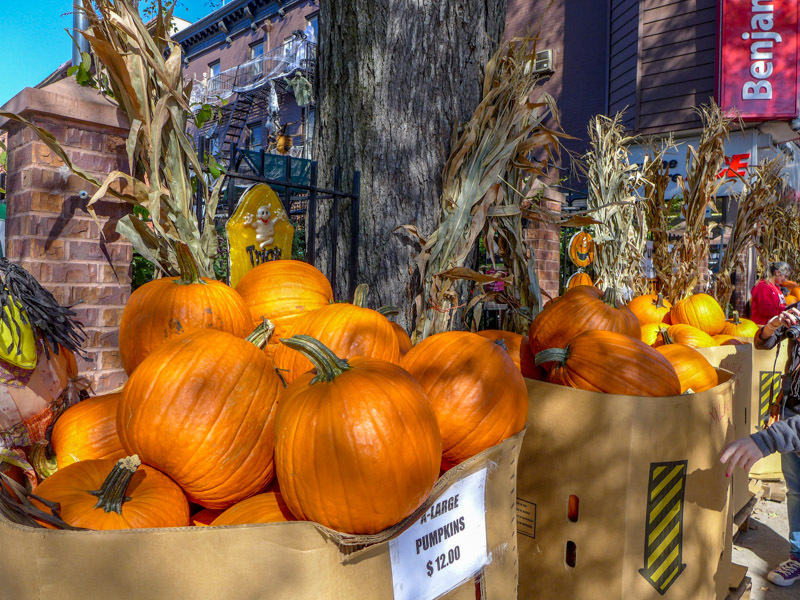 The UK doesn’t do Halloween the same way Americans do – I think I dressed in a black t-shirt and bobbed for apples once as a child – so every year I’m still amazed by just how much people over here get into it. Right now, for example, my whole street in Brooklyn is lined with severed heads dangling from trees. 1. Obviously… the parade. This starts at 7pm tonight and can be seen sashaying up Sixth Avenue between Spring Street and 16th Street. 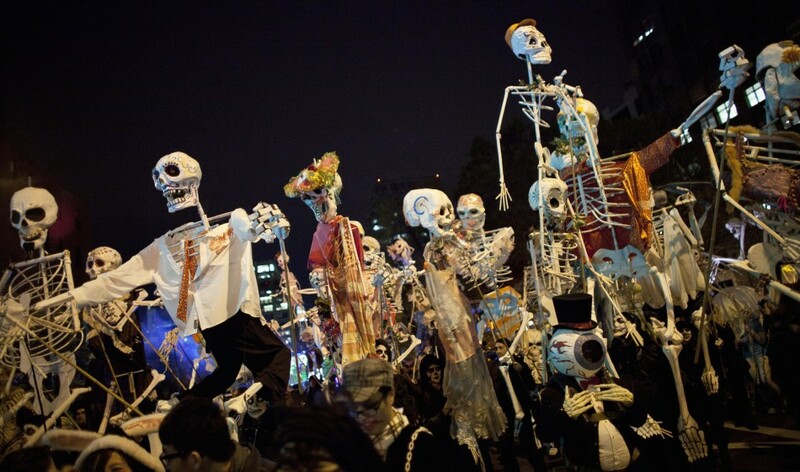 Anyone in a costume can be part of the parade – you just need to gather down on Canal Street. From experience I’ve learned this is the way to go because you see far more. Especially if you’re barely reaching 5 ft 5, like me. 2. Scare yourself silly at a haunted house. 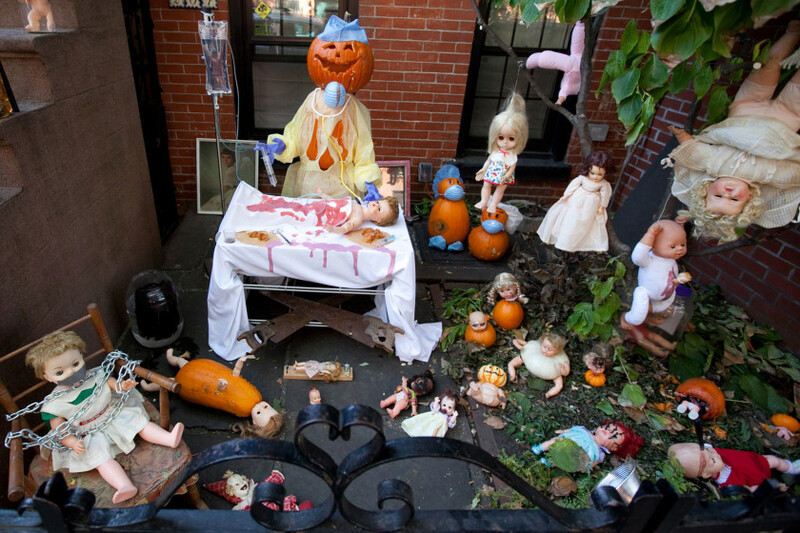 Each year Nightmare New York hosts one in the Lower East Side – this year it’s about New York and while it’s nowhere near as terrifying (or morally questionable) as last year’s murderer themed tour, it’s still fun. I jumped a lot. Another option is here. 3. 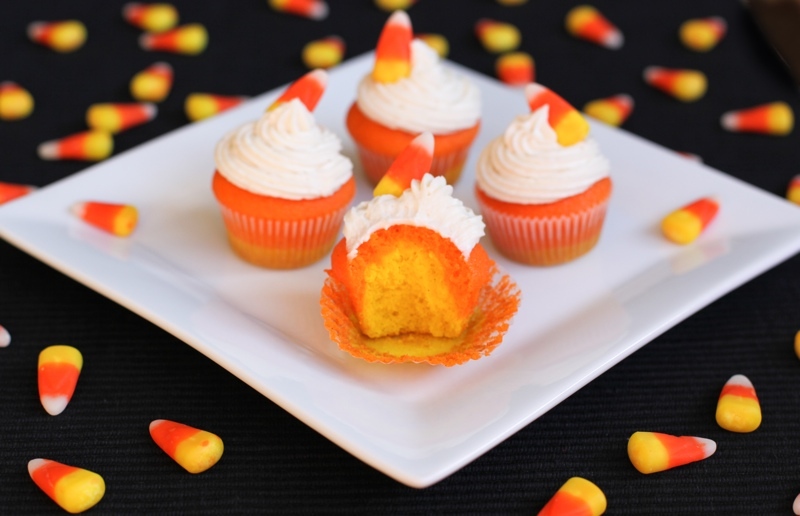 Munch some limited edition candy corn cupcakes from Baked By Melissa. 4. Or how about you sip a beer at this haunted pub in Brooklyn? 5. 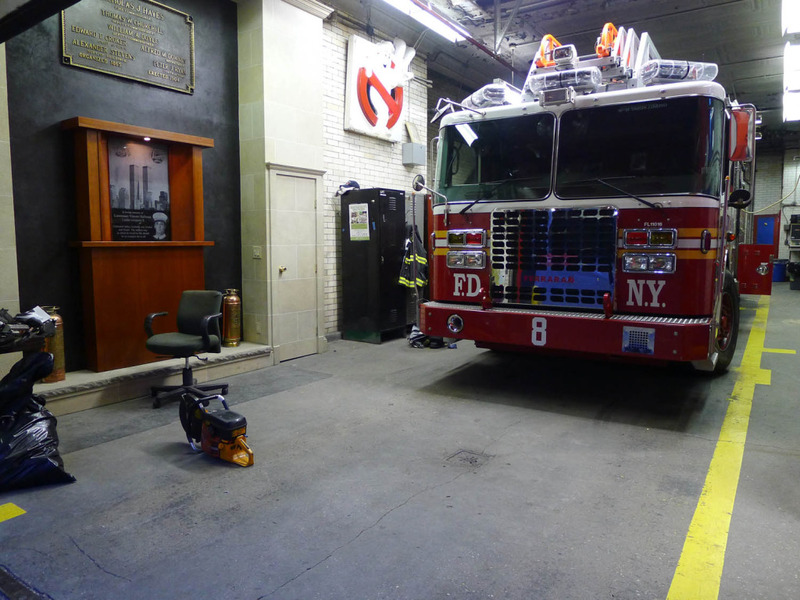 You can also make a trip to the Ghostbusters’ firehouse at 14 North Moore Street in Tribeca. I went last year and it’s a hidden gem. 6. 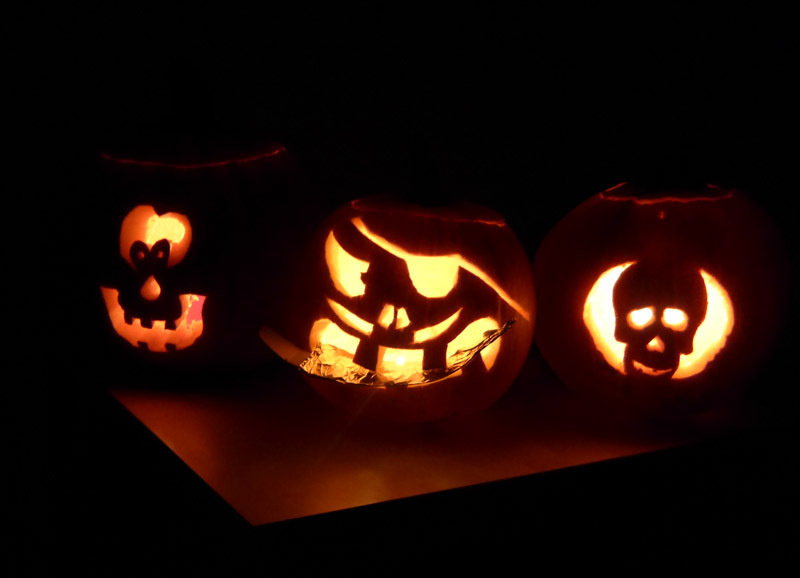 Pumpkin carving – a good option if you want to avoid the city’s antics and have a night in (with a pumpkin beer of course). 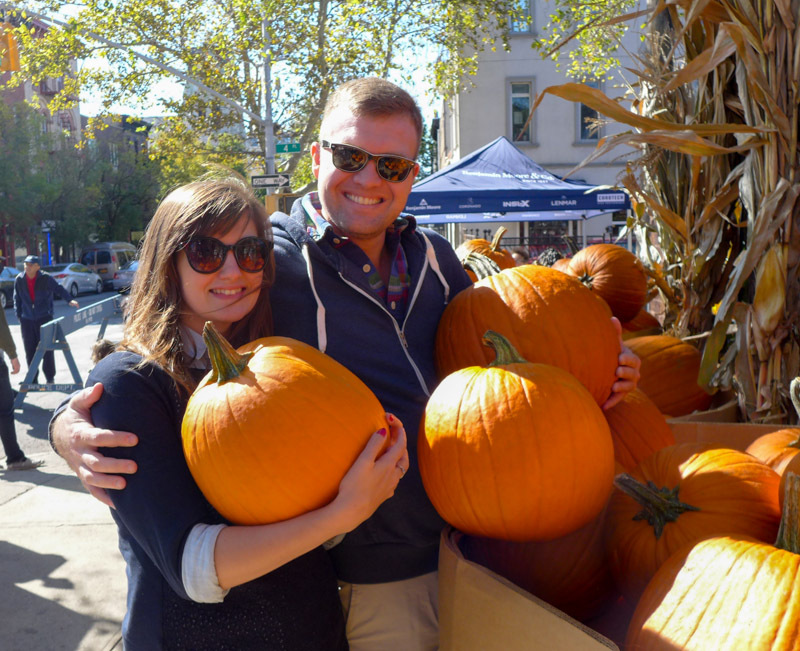 Fear not, I have still seen tons of pumpkins at bodegas around the city. 7. Take a ghost walk. I went on one last year, which was okay, but this company seems to offer a much more extensive list of options. 8. …or you can just walk around the neighborhood. As simple as this sounds, this is what’s making me love Halloween so much. My neighborhood is crammed full with monstrous spiderwebs, inflatable cats and cackling LED witches. If you want some tips on where to go, have a look here. 9. Check out the Halloween line-up at the Brooklyn Night Bazaar in Williamsburg/Greenpoint. If you don’t fancy going to a massive party but still want to get in the spirit, I think the bazaar is a great alternative – thanks to its food carts, gifts stalls, games and music stage. Oh, and it’s free. 10. And if you need some last-minute costume inspiration, look no further! 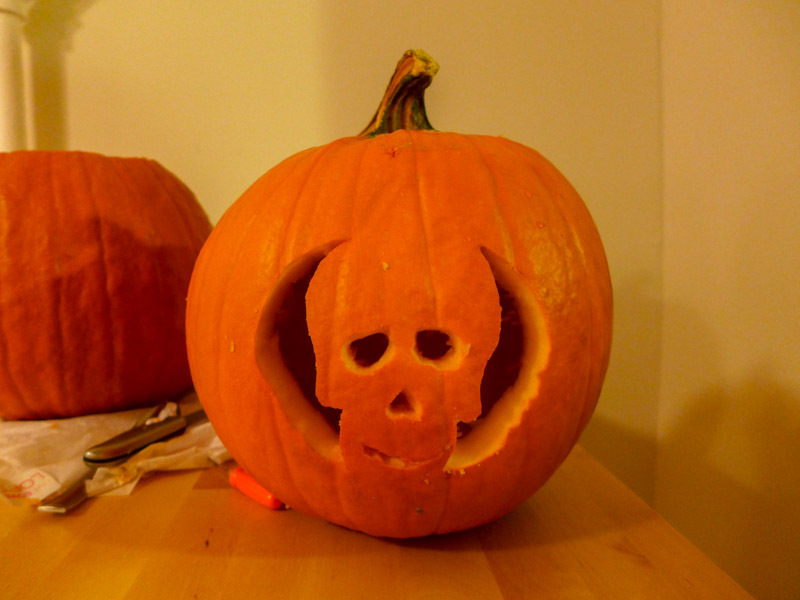 Have a spectacularly spooky weekend, everyone – and keep up the great work, America. Looks like fun in USA while here it’s just a few kids in black holding out their pots for sweets !